Overview: Weight benches have an important role in the exercise routine of people. 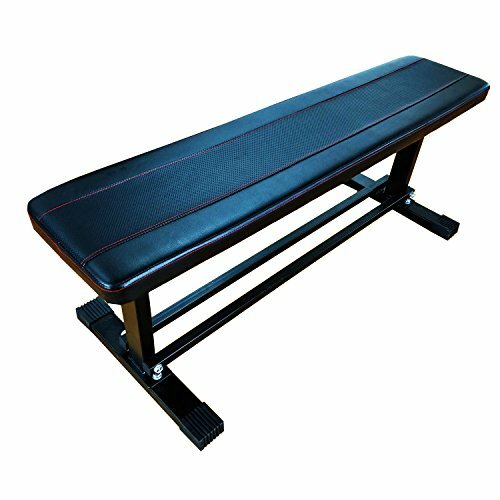 Support For Heavy Lifters Gym benches provide the support needed to lift heavy weights. They do not break or buckle under the strain. A bench also gives the user more confidence to focus on muscle without having to stress about losing balance or control during the movement. Target Different Angles Of The Muscle Hyperextension – usually a difficult movement to perform can be easily practiced on the gym benches. This movement helps improve core stability, posture and strengthen the lower back muscles. Dimensions: 47-inch long, 11-inch (bench surface width)/18-inch (overall width) and 16-inch high. Max weight capacity: 1,000 pounds.